My mum’s car battery died today. Good that this time we weren’t in the middle of nowhere. Apparently, it’s becoming a tradition to talk about my next project’s boilerplate the same day I have problems with a car. See what happened last year! This time I couldn’t solve it by myself but, hey, at least I learnt something and I didn’t have to pay for the new one! Let’s start building our boilerplate for a Koa, Redux, React application including Webpack, Mocha and SASS. In the readme you can read about how to start it up. This post intends to be a very detailed roadmap of how to build a boilerplate using some of the latest technologies in web application development from the ground up, going from very basic concepts to some relatively more advanced topics. Basically what I would have liked to find when getting started, I hope it serves you well! This boilerplate was especially created for the development of listlogs.com. We will start creating a github repository for the new project at github.com. I am assuming you have git installed. node_modules/ will contain all those js files for vendors and libraries our project depends on, such as koa, redux or react, together with the js files for tools we will use during the development of the project, such as Webpack, Mocha or ESLint. build/ will contain the bundled files of our project for the development .environment. npm-debug.log is a file npm creates when every time an error occurs. .DS_Store is something OS X specific. It contains system specific custom attributes related to the directory. As a result it can be safely ignored. *build/ will contain the bundled version of our code to work while in development. *dist/ will contain our production ready code. *styles/ might be used to contain generic style definitions, such as variables, font-face or others, used throughout the whole application. For github to keep track of our empty folders we will just add a .gitkeep file to each empty folder. We should remove it once each folder starts getting the real code files. As I already had them in my computer, I made sure to update node and npm to the latest versions (node 4.1.0 and npm 3.3.3 as I’m writing this) to make sure we don’t have any compatibility issues with the libs we will be using. in the command line. It would be great if node is at least version 4.0.0 as we might be using some ES6 syntax that node is already able to interpret. I will be using 4.1.0. This package.json will become very useful in the future. We will add a register for every single dependency when installing it so that we can easily get them installed at once if downloading the repository in another computer. The same way you can now install at once all the dependencies of this boilerplate’s package using “npm install”. Alternatively, using those commands with the --save-dev flag would add package to the list of development dependencies. will only install those packages defined for the production environment. This boilerplate is thought for those projects that will have an API. The API, that will be implemented with Koa.js will be connected to a MySQL database. Tools like Bookshelf, an ORM, will help us in the process. The API will initially be consumed by the client also included in this boilerplate but it is designed having in mind that it could be consumed by a mobile application created with react-native in the future. Other relevant tools we will be using are Sequelpro to manage the MySQL database and Postman desktop app to manage and test the API Endpoints. We will be using Koa.js to develop our API. Koa is a web framework especially designed for this purpose and builds up on Express.js, probably the most popular framework used to create APIs, by using ES6 generators among other features. Note that we need at least Node 0.12 for Node to support ES6 generators, which Koa uses extensively. Don’t get fooled by the weird versioning Node has suffered in the last months, when it went from 0.12 to 4.1.0 after merging with io.js. We should now have a node_modules/ folder in our root folder containing the koa package. Instantiate a koa object creating our app. Tell koa which port number to listen to. Now, if you go to http://localhost:3000 in your web browser, you should be getting the response. Hello from koajs! Koa.js is a very minimal library that builds up using other complementary packages. One that we will need for sure is koa-route a very simple middleware that will help us to handle the routes. We want to create an API so we will also need some CORS support. We can make good use of the koa-cors package, which basically provides a Koa middleware to enable Cross Origin Resource Sharing (CORS). For our project, the Koa.js API will retrieve its data from a MySQL database. To connect the API with our database we can make good use of several packages. Setting up Bookshelf falls out of the scope of this post but it is relatively easy to achieve following the documentation. In this document we basically define two things. First, we create the <div> with id app where we will render our app. And second, we define the .js file that will contain all the js of our app, minified: bundle.js. This file will be automatically generated by webpack as explained later on under the webpack configuration. 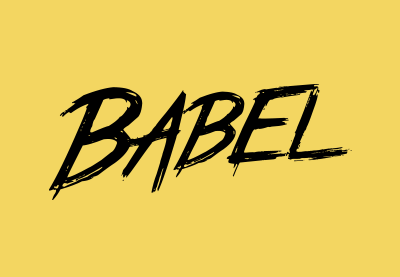 Before we start adding all the libraries to improve the workflow and other frameworks we will use for this project, let’s have few words about Babel and why will we be using it. Similarly to what happens in the backend, we will be writing part of our code using ES6 syntax in the frontend. Some ES6 features are already supported by Node.js 4.1.0 but some others aren’t. Therefore, we will install Babel, that will transpile some of the ES6 features into ES5. Note: While ES6 provides syntax for import/export (ES6 Modules), it currently does nothing, anywhere, because the loader spec is not finished. ES6 Modules are not yet a thing; they do not yet exist. Babel simply transpiles import/export to require. Be careful not to install the babel package, because that would only install the Babel CLI and not the Babel API. Note that we added webpack with --save and webpack-dev-server with the --save-dev. This is basically because in package.json dependencies we will only have all those vendors we need to create the bundled version of our code. Every other lib we will use during development, such as libraries related to hot reload, linting or testing, will be in the devDependencies part of the package.json. It’s time to start configuring Webpack. To do so, we need to create the file webpack.config.js at the root of the project. This way Webpack and its development server will be able to find it by convention. Make sure that the paths fit our previously chosen folder structure. Notice also, that webpack expects absolute paths. We have basically defined that index.js is our entrypoint and that we want our app to be built into the app/build/bundle.js bundle. The file name must match the name we gave it in the script tag when we defined our index.html. We are also defining that the build directory should be used as the base of the development server. A bundle.js should now be inside the /app/build/ folder with the code of our index.js at the very bottom. To make sure it’s working just go to localhost:8080 in your browser and make sure that our logging statement from the index.js appears in the console. Wololo! It is important to note that we can use the last two commands, webpack and webpack-dev-server straight in the command line because we installed them globally using the –g flag. to start our dev server. Our config works, but entails a couple of annoying problems. If we manually create our index.html inside the build folder, then we need to change the gitignore file in order not to ignore it. Seems messy. Why don’t we just get webpack to create the base index.html for us? Html-webpack-plugin will help us to generate an entry point to our application, creating links to all the assets like the js bundle and the minified css. You will see that webpack generates both, the index.html and the bundle.js! In the future we will also configure it to minify our css. Great! And now we don’t mess up with the .gitignore. I have used the path.resolve, which works like if we were navigating the file system using cd, to generate the absolute paths. This makes our config file more robust. Adding the resolve helps us make sure that whenever we use the ES6 import, it will work independently of the file extension and independently of if we set it at the moment we define the import. However, it would be wise to define a code style that forces to always use the same file extension. In our case, we defined it to .jsx. And the error is gone! We could decide to uninstall the Babel package now, but we will keep it in case we need to use the Babel CLI. We could create a config file .babelrc for Babel in the root of our project if we wanted to. There are several advanced options. However, we consider they fall out of this boilerplate’s scope. It’s still worth it to give them a look to know of the existence of some options you might be needing in the future. We have already used the webpack-dev-server and realized how helpful it can be in our development workflow. It automatically refreshes the content in the browser while we are developing our application. 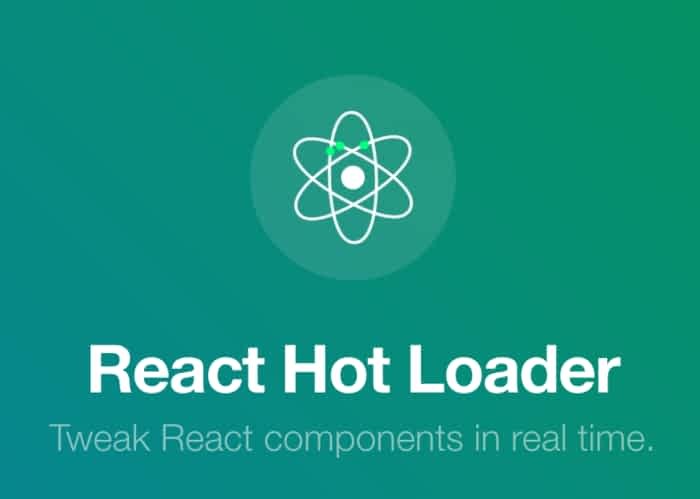 One special feature we will take advantage of is Hot Module Replacement (HMR) which will be really useful while developing in React. Don’t forget to require webpack. We have basically enabled Hot Module Replacement and HTML5 History fallback, to improve the UX in our app by allowing the History API routes to work. In other words, the back and forth arrows of the browser. The inline setting embeds the webpack-dev-server runtime into the generated bundle easing the set up of the Hot Module Replacement by not having to set up a bunch of entry paths. [WDS] Hot Module Replacement enabled. We could also run the application from localhost:8080/webpack-dev-server/bundle . This way we get information about the status of the rebundling process. There are several configuration options like enabling lazy loading or changing the default port 8080 to anything else passing the port parameter to devServer, i.e “port: 4000”. React is a change in the paradigm of front-end development frameworks. In fact, it is not a framework per se, as it needs to build up together with other libraries to provide a complete solution. In our boilerplate, we will be using it together with Redux and Immutable.js among others. As they state in their front page, React can be associated to the V of the MVC pattern. React primarily deals with the task of defining user interfaces. This tendency is understood by the fact that as React makes re-rendering the DOM become relatively inexpensive, we need lot less of the M and C.
Developing React applications with Redux and Immutable.js is a very good combination of technologies. On the one hand, React components are just a stateless projection of the application state at a given point in time. Why? Well, as your app grows, storing state in the DOM doesn’t scale well. So we need to store state somewhere else, definitely not in the DOM. On the other hand, Redux stores the state in an immutable data structure. Exactly what we need! So basically, the code dealing with the user interface (React components) is isolated from the state of the application (Redux store). This separation of concerns also makes it very easy to test our code, which is always a great advantage. Even though this section should fall out of the scope of this post, it is still a good idea to create a very simple React view to make sure that we installed everything smoothly. Having some code to play with, will also allow us to see the power and usefulness of the react-hot-loader development tool. Note: Feel free to get rid of the components/boilerplate.js since we won’t be needing it anymore. Note that we changed the extension of the file from .js to .jsx because the file now contains JSX content. The rendering logic will first create the DOM element into which it will later render our React application. Nothing very exciting so far other than the fact that now it is React who is rendering the displayed message. If we change the Todo component, we will see that the browser automatically refreshes for us. That’s what we configured it to do when we configured the Hot Module Replacement (HMR) plugin. However, refreshing the page means also loosing our current application state. This can be very annoying while developing, just imagine having to do the same steps to get to the desired application state every time we want to check a change in the code. This is where react-hot-loader comes into place to improve our development workflow. It will automatically swap our React components code as we develop without forcing a browser refresh and thus, without losing the application’s current state. Let’s see it in action. Yep, no kidding. Dan Abramov just killed it in favour of his new baby. I know how you feel… :_D However, as he hasn’t had enough time to document it yet, we will go with the old approach for now. Let’s talk a little bit about source maps and how can they improve our workflow. You may have realized that now, the code we have access to from the development tools, i.e our bundle.js is quite different to the code we initially wrote to the editor. In other words, the code in the development environment and the production environment isn’t very similar to our human eyes. Well, that has an explanation, we have run it through compilation, minification, concatenation, and other kinds of optimizations. This makes it quite unreadable for us when on Firebug or Chrome Dev Tools. Source maps help us by pointing in our production code to its exact mapping in the original code. We should see a bundle.map.js inside our build/ folder. Those are our new helpful source maps! You might want to check the React developer tools. At this time, the unsigned version for Firefox doesn’t work by default because Firefox blocks all unsigned plugins for security reasons. While we wait for Mozilla to sign the plugin we can change the xpinstall.signatures.required value in about:config. Because React takes care of the views and Redux is only concerned with the state of the app, we will need other libraries like react-router to deal with the routing of our app. With react-router we can associate different components to different paths. Additionally react-router keeps our UI in sync with the URL. It has several other features like lazy loading, dynamic route matching and location transition handling. Everything that happens in your app is an “action”. These actions can be caused by users, browser events, or server events. Doesn’t matter. Everything that changes something in your app does it via an “action”. You have one giant state object that represents all the state in your app. These are not special Models, or Collections, just objects, arrays, and primitives. You write “reducers” for everything that changes state using the reduce() method of an array. A reduce function gets a starting state, the current value and returns the new state. That’s exactly what we want to do in response to actions. We get the starting state, the current action, and we return the new state. Together with Redux, we will need to install the official React bindings for Redux, react-redux. Finally, we also need to install isomorphic-fetch a library to use the new fetch API. This API is used to make network requests replacing the traditional XMLHttpRequest, in other words we will use it for the AJAX calls. We need to use the isomorphic-fetch library because most browsers don’t yet support this API natively. To improve the DX (Developer Experience) with Redux, you can also install the Redux Developer Tools which comes with a set of features to develop and debug with the Redux Store in a more appropriate way. In the demo video you can see an early version of the dev-tools in action. Because of the Redux Store containing the state at each change in the application, we can go back and forth between the application states. It’s like a time machine! Pretty cool! Once you start creating Redux objects you can fully integrate it following the instructions. We will use Immutable.js data structures to hold the application state. This library works wonderfully with the philosophy of Redux. A Redux application's state is an immutable data structure in the form of a tree. That means that as long as it exists, the tree representing the state will never change. It will keep representing the same state forever. To move to the next state, Redux produces another tree that reflects the changes we make to the state, thus, representing the new state. This means any two successive states of the application are stored in two separate and independent trees. You might want to follow Tero’s much more complete explanation. Anyhow, at this point it is obvious that Immutable.js is a useful library for us, so that we make sure we don’t mess up any of the Redux’s principles. 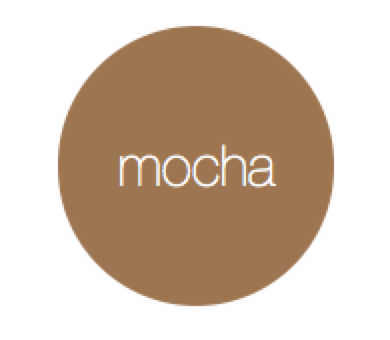 We will be using Mocha for our tests, both of the API we will be doing in Koa.js and of the React application. Test-driven development will allow us to incrementally build our application with the certainty that after every change we aren’t breaking things that used to work. Additionally, we will install Chai, an assertion/expectation library that comes in very handy to define what you are expecting your code outputs to be. Also, we install the chai-immutable library which extends Chai to support also Immutable data structures. This command basically asks Mocha to recursively search for all the tests in the project folder, to transpile any code in ES6 using Babel if it’s the case, and to run them. Right now, if we execute it, it should throw an exception given we haven’t defined any tests yet. again, this should throw an error for now. To keep improving our development workflow let’s add another script called “test:watch” that will launch a process to look after changes in our code and automatically run the tests for us. Given the fact that we also want to test React, we will need a DOM. Instead of running the test in an actual web browser with a library like Karma, we will use jsdom, a DOM implementation that runs in Node.js. This is a good blogpost on how to test React using jsdom. Once we’ve done this, we also need to expose all the jsdom window object properties, such as navigator, putting them into the node’s global namespace object so that the properties provided by window can be used without the window. prefix, mimicking the environment we would have with a real browser, and enabling React code to hook up properly. Finally, we should remember to import and use the chai and chai-immutable libraries we previously installed for the tests that may need them. "test": "mocha --compilers js:babel-core/register --require ./test/test_helper.js 'test/**/*. @(js|jsx)'"
We basically changed the –recursive flag which would overlook .jsx files for a glob that will find both, .js and .jsx files. We don’t need to change the watch script. We will be using SASS as our CSS preprocessor. Discovering LESS a couple of years ago was great, it made your life much easier and the learning curve is rather shallow. However, it has its limitations which have made SASS to probably be the better solution at the moment. To compile SASS files into plain CSS we need the sass-loader. We need one more library, style-loader, which will take care to embed our styles into the application. Let’s restart the webpack-dev-server and browse http://localhost:8080/, beautiful, right? Change the styling and go see what happens to the browser…yaaay, it automatically updates the styles! If you remember correctly, when we defined the folder structure we created a styles folder inside our src. However, we placed the .scss file we just created inside the components folder. Well, this is an open case. Normally, we are used to have a styles folder with all the styles files, maybe one per each page, or per each widget, etcetera. But we are now working with React components. This means that every single part of the web application will be one component or another. So it sounds like a good alternative to create a folder for each component inside the components folder that contains both, the .jsx and the .scss for that component. This solution enforces to split styles at a component level and makes maintainability way easier. Your choice! Linting is the process of running a program that will analyze the code for potential errors. It is a way to find syntax errors and standardize with a set of rules the way code is written, which is especially interesting when the code is developed and maintained by multiple coders. As Juho explains in his chapter dedicated to linting in his book SurviveJS, linting can considerably improve our workflow by detecting errors in our code before they become actual problems. Additionally, we find a specific linter for code style, JSCS, even though ESLint already covers most of its features. For this boilerplate, we will be installing ESLint, it allows for enough flexibility while already introducing basic code style linting. We will need to install some packages, so let’s begin! To install the tool itself. To install a set of default react specific linting rules. "lint": "eslint . --ext .js --ext .jsx"
You can decide the degree of severity of each rule with a 0 to disable it, a 1 to have warnings, and a 2 for ESLint to emit errors. It might be a smart idea to check the documentation. Note that we defined it inside the preLoaders section of the configuration, which gets executed before loaders. If linting fails, we don’t need to go further. If we npm start now, linting will already be working under the hood. It is important to know that there’s much more to linting. For example, you could define different levels of linting depending on the environment. Some environments have conventions of their own. It would be a good idea, for example, to add the mocha environment to our .eslintrc so that ESLint doesn’t keep warning us about custom Moch keywords such as “describe”. "deploy": "NODE_ENV=production webpack -p --config webpack.production.config.js"
We should get our production ready files inside the dist/ folder in the root. Yay! Note that we also changed the line where we enable source-maps, so that we only generate the source-maps for the development environment! When running npm run build, we should have bundle.map.js in our build/ folder, on the other hand, when we run npm run deploy, we shouldn’t have a bundle.map.js in our dist/ folder. Similarly, we will only lint our code when in development environment. It is interesting to explain how was this boilerplate thought for when the D day arrives and the application gets finally deployed. There are several advanced tools that can be used to deploy the application. However, here I will only present the three main deployment flows I spotted that make no use of deployment specific tools. Some people prefer to create the production ready files when in local, tarball those files (dist/ and api/) and sftp them to the server where these can be uncompressed. This solution is probably the most elegant. It doesn’t copy the source code of our client application to the server which always makes it more secure. However, doing it manually can get messy and tedious. People generally create serve scripts that do the whole process for them, but this is relatively advanced and falls out of scope for this post, if anything does! Another solution is to pull the source from github, for example, into the server, where the production ready files are generated (with scripts like our deploy). This involves having to do some work from the server. Also, in this case, the source code would be in the server, unless we manually remove it. The final solution and the one we will be using, as we consider will improve our workflow, is to generate the production ready files locally, pushing them to the github repo and pulling them from the server. This is mostly the reason behind not having a dist/ in our gitignore. If you followed along through the whole post, besides having my deepest respect, you will have seen we have been adding a bunch of scripts that come in very handy. Scripts really do improve our workflow. Here you can see some examples of how flexible they can get to be. "clean": "rm -rf app/dist app/build"
As you probably noticed, this post became a beast. In this final (I promise!) section I will just explain other improvements that the boilerplate could have in the near future. Multiple webpack configs: If you remember properly, in the section where we created the production ready files we had to do some tweaks to our configuration. This is ok for now, because these were just a couple of changes that can be easily spotted and maintained. However, this is an antipattern. The proper way to go would be to have a webpack configuration for the development environment (to finally generate the /build) and one for the production environment (to finally generate /dist). But this is not it, we could also use having a webpack configuration for the backend code (/api). Advanced deploy scripts: This way we could develop some nice workflows that eased our job and improved the security of our web application by not pushing the source code to the server. You might also want to read into Travis CI. PostCSS: Transforming styles with JS plugins together with Autoprefixer a plugin to add vendor prefixes to CSS rules. Fluxible or Flummox for isomorphic / universal / portable applications. Or in plain English, libraries that will help us deal with server-side rendering to support SEO. History to easily manage session history in browsers. Socket.io to make real-time applications possible, maybe you want to have social notifications in your app? webpack-merge for advanced webpack configuration. Here, a list of some of the most relevant bibliography links and github repos I used to create this boilerplate! If you made it this far you really deserve an applause. I hope this post helped you somehow. If you find any issues or have any problems, I’d be glad to hear about them! Cheers! © 2014 Joan Boixadós. All rights reserved.